Are you a die-hard Swiftie? If so, you should definitely dress up as Taylor Swift for Halloween. 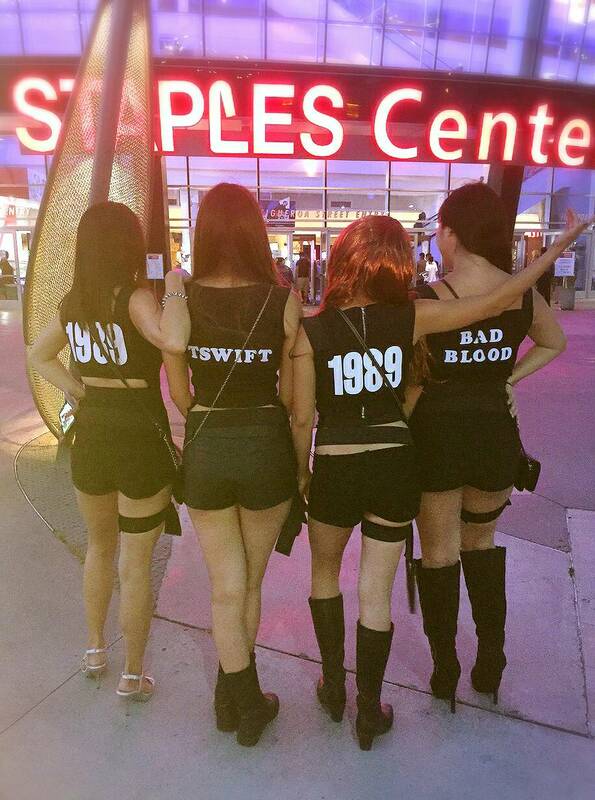 Or, if you’re planning to Shake It Off on her 1989 tour, it’s always more fun when you dress up! I was able to catch the last night of Taylor’s 1989 stint in Los Angeles on August 26th. When I got my tickets for the show last year, I knew I wanted to dress up, but I didn’t know yet what costume I wanted to put together. 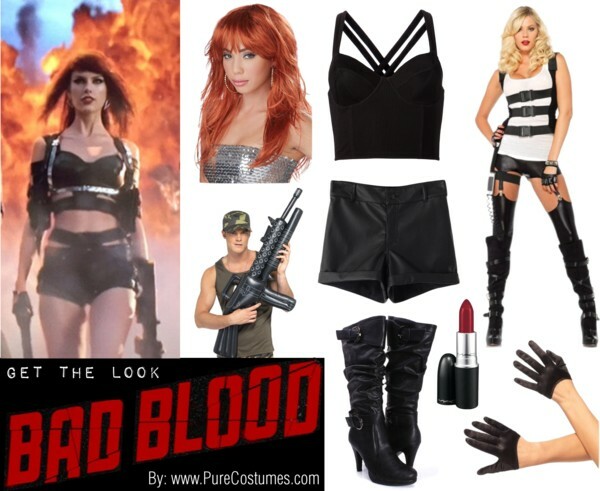 Once the Bad Blood video came out earlier this year, my friends and I decided we wanted to recreate the fierce looks from the video. First, I put together this Polyvore set to give myself some ideas as a starting point. The great thing about the Bad Blood video is that there were so many different characters in different black outfits, so you really can’t go wrong with anything black. For us, we decided to give it a more Bad Blood vibe with the details. Along with black shorts and a black top, we added the SWAT Body Harness which completely transformed the look to exactly what we were going for – femme fatale. We did run into the problem with the fact that the body harness read “SWAT” on the back. The answer to that problem was a simple piece of felt and some iron on patches. It was the perfect solution because not only did we cover up the unwanted word, but we got a custom look tailored for Taylor. I’m very happy with the end results. 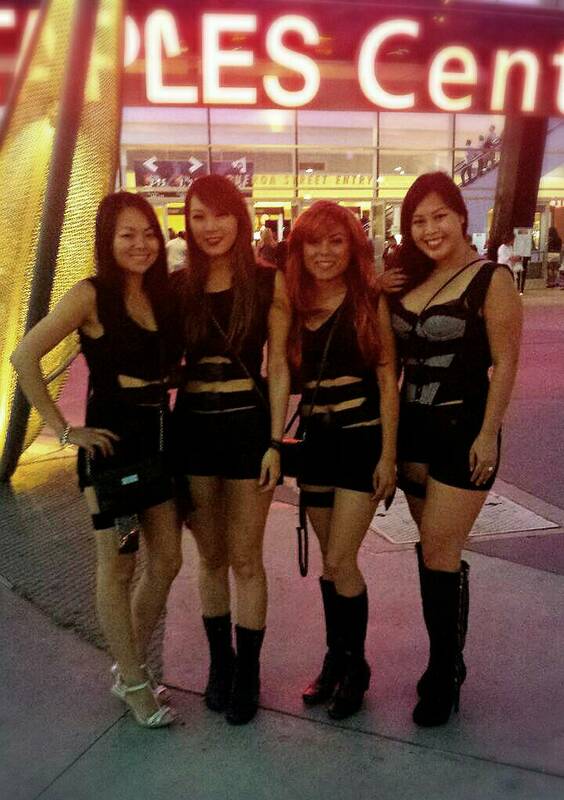 Our costumes came out perfect for the concert and we had a great time. It was an amazing and entertaining show. Taylor Swift is the best entertainer I’ve ever seen live and she always puts on a great show. Her special guests, Selena Gomez, Lisa Kudrow, and Justin Timberlake were just the icing on the cake. If you’ve seen Taylor Swift’s 1989 concert, let us know how it was in the comments below!